Peregrine Corporation has announced plans for a new $50 million investment in developing its Adelaide head office and centre of innovation. The SA family company proposes a state-of-the-art, six-level mixed use building replacing its current head office on 270 The Parade at Kensington Park to cater for its growing local workforce. The new hub of learning and retail innovation was inspired by the organisation’s history and will include extensive training areas, inspiring office spaces, car parking, as well as ground level retailing, a rooftop restaurant, gym and a 50m pool. The development will be a signature building and form a gateway to the cosmopolitan end of The Parade. The design is in context with the area and is articulated with a three-level stone clad podium base and a four-level ‘floating’ glazed tower setback to reduce the overall visual scale of the building. 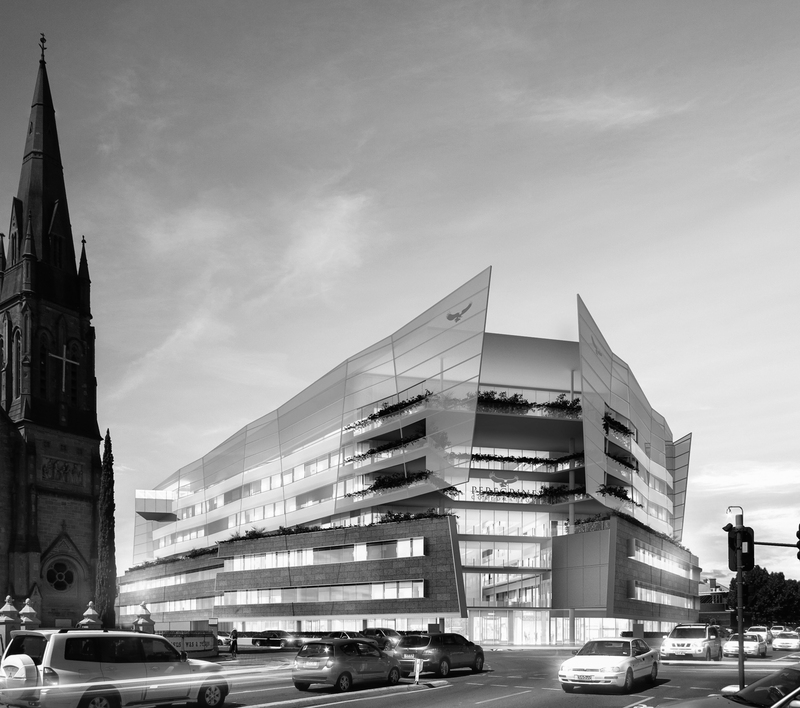 The upper level tower is screened with dynamic folded fritted glass planes providing a lightweight layered façade that has a sense of movement, creating a visual marker day and night to the precinct. The project features key initiatives to ensure that an optimum balance of sustainability, energy efficiency and occupant health and welfare are delivered.